Sometimes I love spending hours in the kitchen playing around with a recipe or two….and sometimes I’m looking for something a little more simple, but no any less delicious of course. 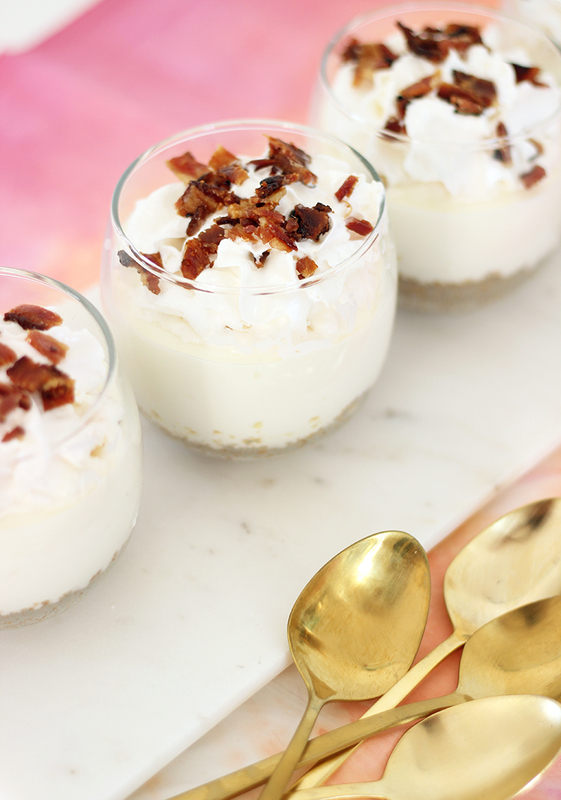 Well now you can have your cheesecake and eat it too. If there ever was a dessert that combine two cliche stereotypes any more I’m not sure what it would be. 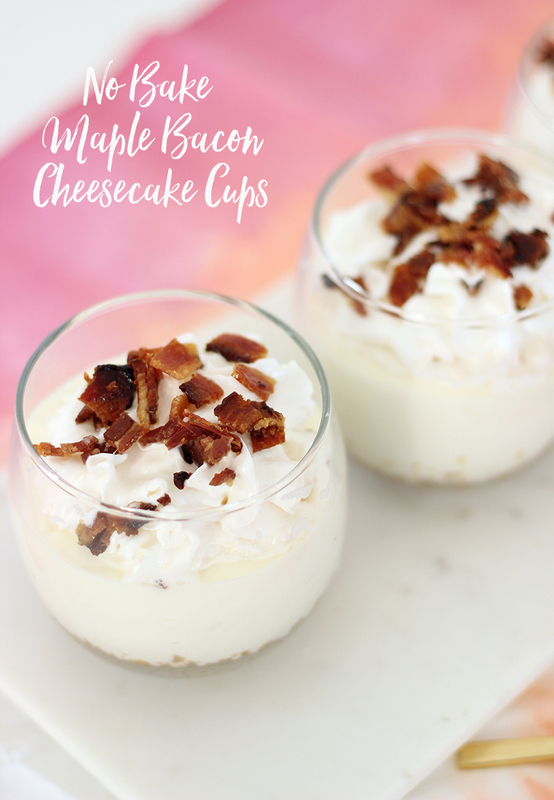 All the cheesecake lovin’ ladies and bacon obsessed guys at your dinner party will eat these no bake maple bacon cheesecake cups up. Literally. Stereotypes aside, it’s just a delicious combo that will make anyone want seconds. 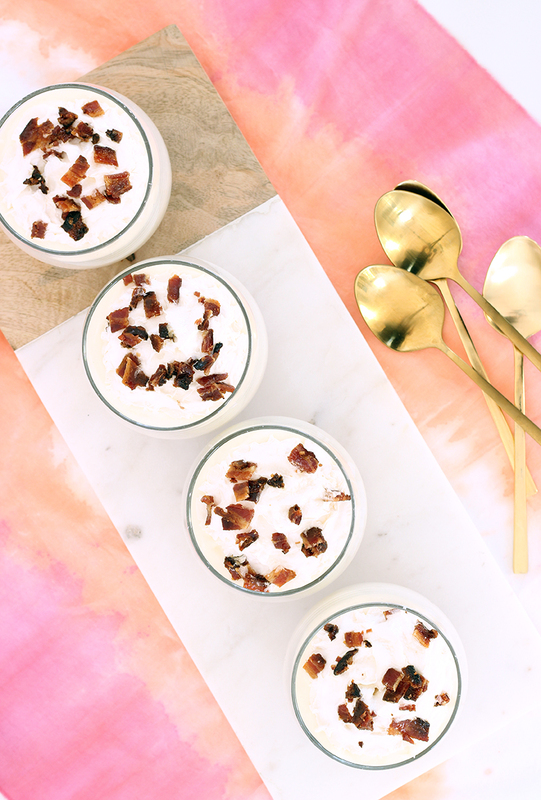 These no bake maple bacon cheesecake cups combine two great combos – you have the sweet and savoury along with the sweet and salty which together make for a real awesome party in your mouth. 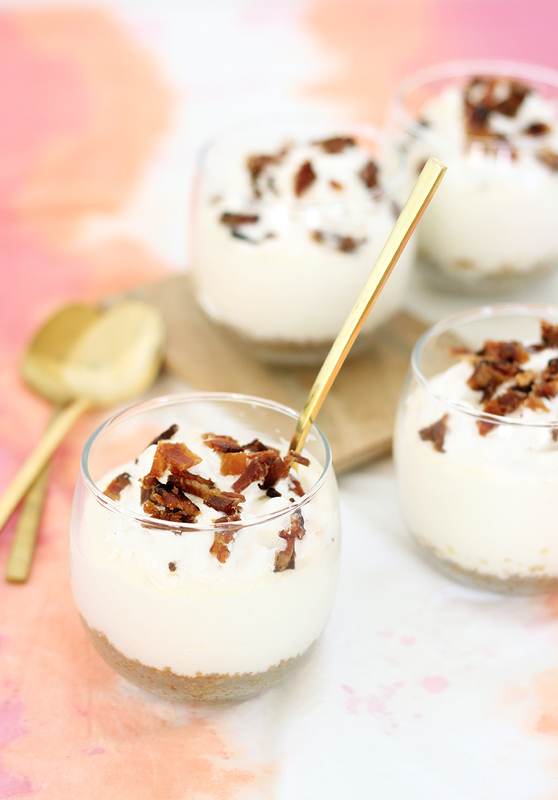 The no bake part is a big bonus because well cheesecakes can be fussy and there’s nothing more disappointing that watching one slowly sink in the oven because you stirred clockwise instead of counter-clockwise or something ridiculous like that. You do need to turn the oven on to make the bacon but you can easy make that ahead of time to let it cool and get all crunchy and delicious. These guys do need some time to set in the fridge so leave yourself at least 4 hours before you want to serve or even better, make them the night before and just add the whip topping at the last minute. 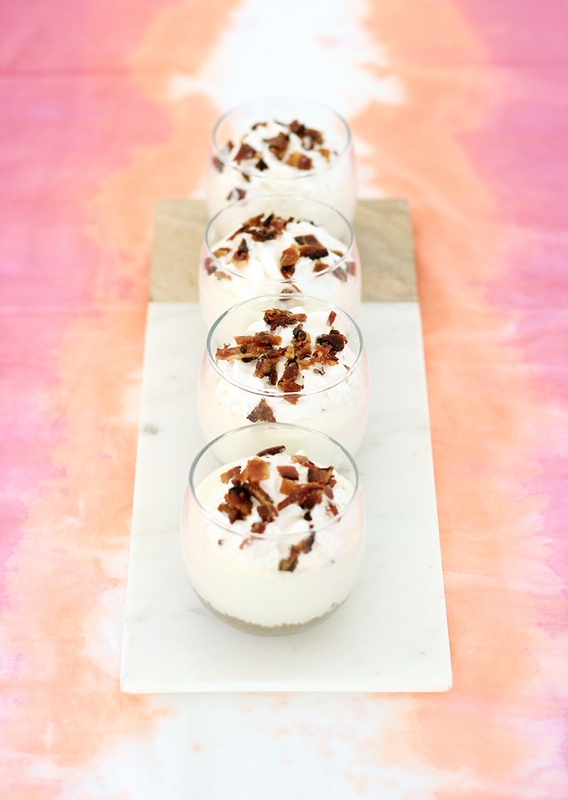 If you’re mouth is already watering, head over to the Kendall-Jackson Wine blog to see the full recipe and grab yourself a bottle of their Vintner’s Reserve Cabernet Sauvignon to go with dessert while you’re at it. If you liked this, find more good eats in our recipe gallery.